The history of the HUMMER begins in 1979 with a request for a prototype High Mobility Multi-Purpose Wheeled Vehicle (HMMWV) from the U.S. military. Several companies rose to the occasion, starting a development race. Teledyne and Chrysler Defense already had designs on their drawing boards, giving them a lead on the competition. The proposed Chrysler vehicle was a modified version of the company’s existing Saluki desert design, while the Teledyne’s stemmed from its Cheetah off-road vehicle. AM General’s prototype HUMMER was delivered in July 1980, just eleven months from its initial conception, and was one of six proposals that the Army evaluated. In June 1981 contracts were awarded to General Dynamics, Teledyne and AM General for test vehicles. Army specs were extremely stringent and demanded the vehicle to be lightweight, capable of deep water fording, and have extreme temperature operational ability. In addition, parameters such as reliability, durability and maintainability were considered and evaluated. Once again, AM General proved its mettle by becoming the first company to complete its test vehicles. Prototype HUMMERs were delivered to Army proving grounds in April 1982. The Army’s test phase was carried over a five-month period, and AM General’s HUMMERS were the first vehicles to complete durability testing. The vehicle also offered the lightest weight and highest performance ratings. AM General finally won the initial HUMMER production contract in March 1983, which called for the delivery of 55,000 vehicles over a five-year period. In 1992, AM General began marketing the Civilian Hummer to the public. The first year “Limited Edition” Hummers were sold directly from the factory, and the company had close to 50 dealers signed up to sell the rugged SUV by 1993. In December of 1999, AM General sold the Hummer name and the rights to market and distribute Hummer vehicles to General Motors. Our consultants at Paul Conte Chevrolet of Freeport, a local Chevrolet dealer in Freeport, NY, told us that in addition to continuing to building the original H1 Hummer, the company started selling the all-new Hummer H2 in mid-2002. In mid-2005, Hummer introduced the 2006 Hummer H3, a midsized SUV based on the Chevrolet Colorado / GMC Canyon truck platform. GM ended the civilian production was made May 9th 2006, building only 729 H1s during the year. A total of 11,818 examples of the original SUV were sold during its lifetime. 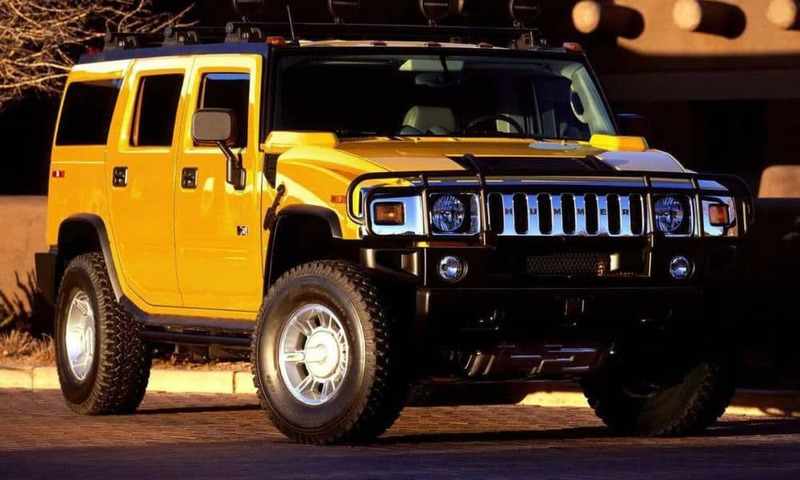 In 2009, GM filed for bankruptcy and announces that the Chinese company Sichuan Tengzhong Heavy Industrial Machinery Company has purchased the Hummer brand but revealed later on in February 25, 2010, that the deal had fallen through. On April 7, 2010, notification was sent to Hummer dealers that no “viable” buyers have been found for the brand, necessitate an “orderly wind-down”. On October 31st, 2010, the “wind-down” was completed and GM officially shut down the Hummer brand.